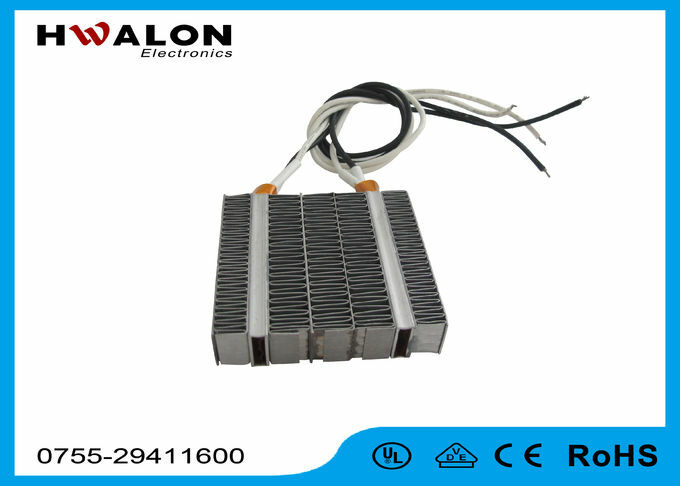 PTC ceramic heater is adhesived by PTC ceramic heating components and corrugated aluminum.This type of PTC heater has the advantages of small thermal resistance, high heat transfer efficiency.And it is an automatic thermostat, power-saving electric heater. It is a prominent feature of the safety performance, will not produce such as heating tube heater surface "red" phenomenon,.It will not causing burns, fire and other security risks. 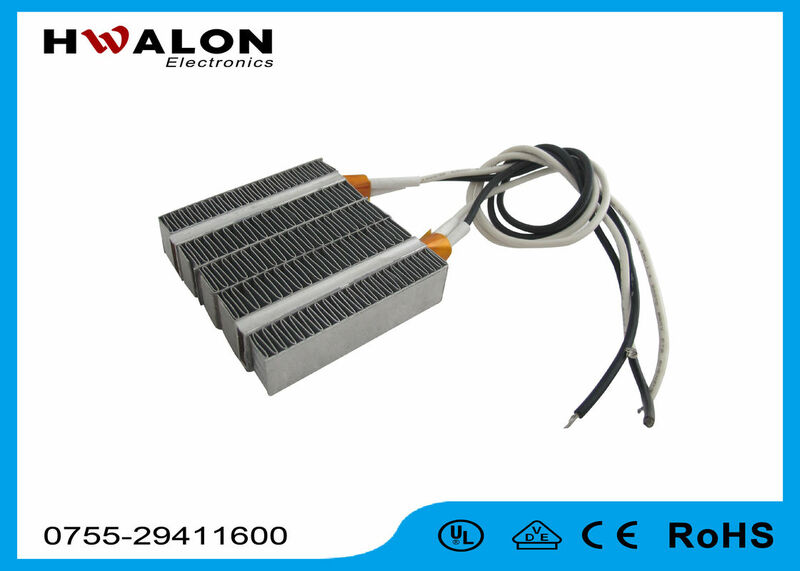 1) PTC heater which consists of PTC elements and radiator is a temperature holding automatically heater. About its safe feature, PTC heater's surface temperature is Curie temperature while there is no wind. 2) Temperature rises rapidly. It can control temperature automatically while there is no wind and has low ageing. 4) Safe through temperature limiting characteristics. · No danger of fires since there are no glowing parts. · Dynamic, self regulating, and therefore energy efficient. · No excess temperature protection required. · Voltages from 6V to 480 V; special voltage applications up to 800 V.
· PTC surface temperatures can be set from 50C to 320C. 1.Coffee pad , air-heating ,wind-warming equipment,cold and warm air-conditioner. 5 Can we order samples? Yes, you can.and free samples are available.